"Everyone wants a quick cleanse or a 24 hour detox. Sure, party for a decade and then try to clean up the whole mess in a few minutes, it's not going to happen. Any Cleansing or Detoxification Program is a total joke unless you do a thorough bowel cleansing for a few weeks FIRST!" "...I have literally traveled around the world in search of what a normal bowel movement and bowel habit should be like. Now, how many people can say that?" "...These relaxed primitive people all seemed to have one bowel movement within 20 to 30 minutes after each major meal that they ate. They just squat, it rapidly comes out within a minute, and they are done. 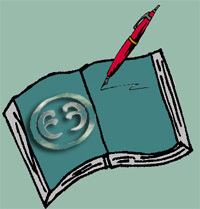 No library of magazines, no squeezing, straining, grunting, meditation or prayer, it just came out effortlessly. They seem to average between 2 and 4 bowel movements a day..."
"Death begins in the colon... In my opinion, there is only one real disease, and that disease is 'autointoxiation' - the body poisoning itself. It's the filth in our system that kills us. I'm convinced that unless you clean out your colon you will never regain vibrant health." 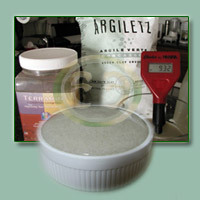 Bentonite and psyllium make an excellent combination for use internally. A mixture of both of these relatively inert substances has long been used to cleanse the digestive system, reduce or eliminate food allergies, eliminate constipation, and successfully combat candida infections. Utilizing psyllium with bentonite can eliminate most of the uncomfortable side effects that some people experience when using bentonite alone, and provides a gentle means of cleansing the colon. Psyllium, also known as Isabgol, is a soluable plant fiber ( Plantago syllium ) containing 10 - 30% mucilage. Psyllium is well known for its binding properties, and is commonly used as a safe and effective natural laxative. As a soluable fiber food source, normal use reduces cholesterol adsorbed by the body. Psyllium has also been used to treat diabetes, diverticular disease, and irritable bowel syndrome. Psyllium can be used to treat any inflammatory conditions of the digestive system, including ulcerations. Always increase water intake when using Psyllium internally. Drinking an extra six to eight ounces of water is strongly recommended. While generally regarded as safe, a small minority of individuals do not tolerate psyllium well. Those experiencing discomfort should discontinue use, or start with a very small amount to allow the body to adjust. Use of psyllium can reduce the effectiveness of prescribed lithium. Use of psyllium can reduce the effectiveness of antibiotics. Do not use psyllium within two hours of any medicinal substances. Use at least 30 minutes prior to eating. Always start slowly; use 1 tsp. of clay with psyllium rather than starting with 1 tablespoonful. Drink plenty of water throughout the day, it's not a joke. Avoid ingesting clay/psyllium with oils. Please note: Both the Psyllium and the Bentonite MUST be fully hydrated prior to ingestion! We've received several emails from people following incorrect "psyllium and bentonite shake instructions", who have experienced discomfort due to the psyllium swelling in the stomach. 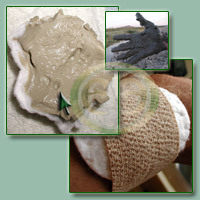 First, prepare the bentonite mixture by adding one teaspoonful to tablespoonful of clay to an 8 ounce glass of water. Mix completely so that the bentonite is completely dispersed throughout the water ( with no clay clumps present in the water ). Then, add one teaspoon to one tablespoonful of powdered psyllium husks to the clay colloid. Mix thoroughly. Before taking the psyllium and clay internally, be certain that the psyllium has had time to expand completely. This bentonite and psyllium magma was made by combining just enough psyllium to completely saturate the hydrated bentonite colloid. Please note that this image is only used as an example of a colloidal state; very few people should ingest a psyllium/clay colloid this dense without alot of detox experience. Visually studying the colloid will allow an experienced user to be certain that the bentonite and psyllium is widely dispersed throughout the water medium. Avoid adding too much psyllium or bentonite. This will ensure that the end product remains in a colloidal state, with the charge layers intact and the particles fully hydrated. Following the one teaspoon guide is always a safe method to achieve a good product, but it shouldn't be assumed that this is the only method! 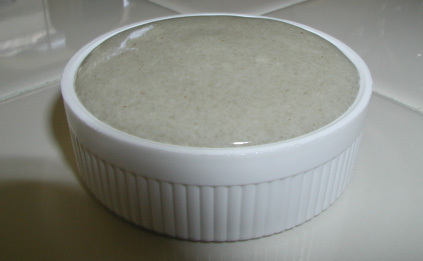 Using bentonite and psyllium internally may be done in the same manner as clay used alone. We do recommend, however, that the addition of psyllium be limited to twice daily. If one elects to use the psyllium combination twice daily over a long period time, prudence suggests that the two doses should be administered first thing in the morning and in the late evening, at least 30 minutes before breakfeast and at least 30 minutes after dinner. Restore the alkalinity of your soft tissues - Use PH testing strips to test your saliva every four hours for three days. If your average reading is below 6.75, then alkalizing needs to be a very serious priority. When we tested 50 random people, all individuals who reported excellent health measured 7.0. All chronically ill individuals accept for one had a problem with high acidity levels. Fresh lemon water can be used to help the body flush acids from the soft tissues of the body. Use a program such as Dr. Schulze's intestinal formula #1. Why Dr. Schulze? There are better digestive cleansing programs available, but his formulas are very effective and simple to use. Individuals who do not respond to probiotics should consider researching fermented cabbage juice. Modify your diet! There is no perfect "out of the box" dietary philosophy that we have been able to identify. People are individuals, and there are at least 12 core genetic factors that influence what type of diet may be best for any individual. If you have a very hard time eating correctly for your body, then get a whole food kosher meal product such as "Ultimate Meal" by Ultimate Life, and religiously make at least 1 shake daily, at least 5 times weekly. Learn to listen to your body! It knows what it needs. Conditions involving serious digestive failure can even take 1-2 years to resolve even when using an effective protocol. 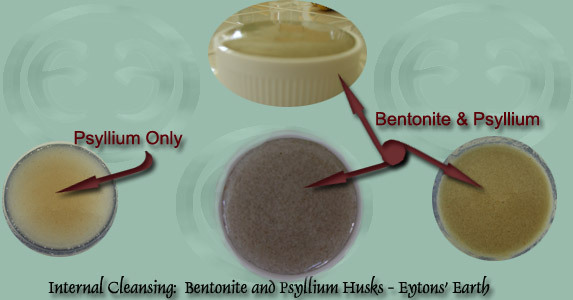 Psyllium and Bentonite - Share your experience or ask a question. 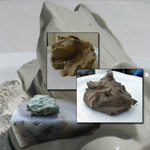 Using Clay Internally - Other topics on the use of clays for internal cleansing. For reasons including food and water contamination ( antibiotics, chemicals, pesticides, petroleum-based byproducts ), body detoxification programs are only going to become more critical to good health in the future.